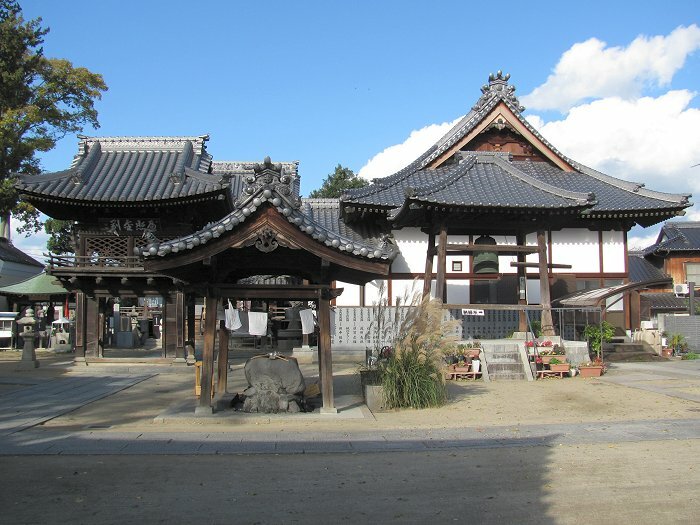 A view of the temple precinct at Enmyo-ji. 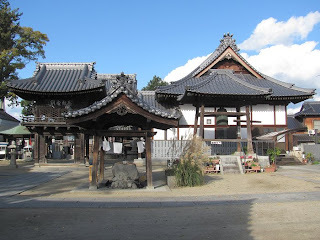 I walked the pilgrimage route from Enmyo-ji (#53) to Taisan-ji (#52) to central Matsuyama today with my friend Bob. Beautiful day, but breezy and quite cold! Not many other pilgrims to be seen today.